Which is better - Comcast or Verizon? Both offer Internet, TV, and home phone services, but each company has its own strengths and turnoffs. Read the comparison details here. The war between the cable companies can make for a heated late-night debate. When you’re faced with the debate in your own home, when a salesperson from either company is on your doorstep with an attractive deal or you buy a new home and need to sign up for a new service, the answer is not easy to come by. Unfortunately, comparing the companies’ services isn't exactly like comparing apples to apples. For starters, for TV service, Verizon FiOS uses fiber-optic technology, which is supposed to be superior, offering more clarity, speed, and reliability than the copper wire technology that cable providers use. 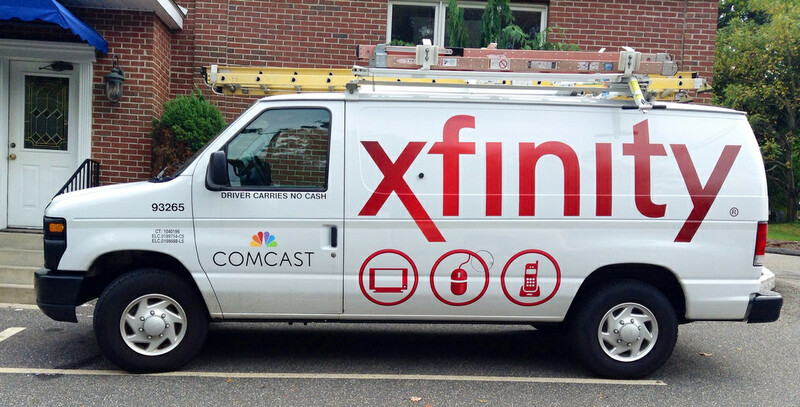 Yet, Comcast claims its Xfinity services are a direct rival to FiOS. Also, the quality and availability of services from each company depends on where you live. For example, Internet speeds, channel availability, and even prices can vary from city to city. So Verizon customers in different places can have different experiences. And the same is true with Comcast. When you stand to benefit by choosing one company over the other and to bundle its services, the tough decision has to be made. We pitted the claims each company makes to help make your choice easier. 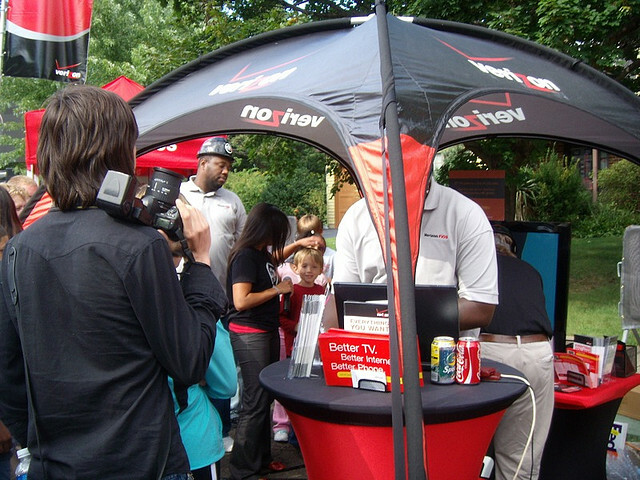 Verizon claims: FiOS TV provides the superior viewing experience with theater quality images and crystal clear sound. Verizon claims to offer variety that cable can't match, with over 610 channels and over 80,000 On Demand titles per month. And its 24/7 customer support includes In-Home Agent, available through the TV. Comcast claims: Xfinity provides more On Demand titles and more online and TV channels than Verizon but doesn't offer exact numbers. Comcast also says it offers the most live sports, and highlights features Verizon doesn't offer including voice control and Smart Search - a feature that shows what's on TV, DVR, and On Demand all in one area. Verizon claims: FiOS is faster than Internet service from cable companies. So, its customers can download movies and music and upload videos and photos in less time. And thanks to fiber optic technology, Verizon says FiOS customers can do all the things they love, such as online gaming and streaming media from multiple devices all at once without losing Internet speed. Comcast claims: Xfinity provides the fastest Internet service and provides in-home WiFi speed over three times faster than FiOS. Comcast also claims to provide the most WiFi coverage throughout the house all the time and to deliver 100% of advertised speeds even during peak hours. While Verizon has several thousand public WiFi hotspots, Comcast claims to have over 1 million. And the company claims to offer free Internet security that Verizon charges for. Verizon claims: FiOS Digital Voice stands apart because it offers crystal clear HD-like sound and the service includes many smart features. Customers can assign different rings to different people, forward calls to three different numbers, and receive text or email notifications of voice mail. A call log provides a way to monitor calls, and customers can manage features such as call forwarding and voice mail from their PC, TV, or smartphone. Comcast claims: Xfinity Voice offers excellent clarity and a broad range of features, such as repeat dialing, three-way calling and call return. 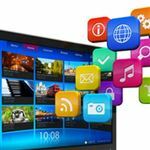 Comcast also advertises features it says Verizon does not offer, including readable voice mail, text messaging, and Caller ID on your TV, laptop, and smartphone. Both companies offer Internet, TV and phone services in a bundle called Triple Play. And both companies readily push these bundles, saying the packages are the most cost efficient way to subscribe to get these services. Verizon and Comcast offer numerous Triple Play packages. Prices vary based on factors like Internet speeds, channels and additional features, such as DVR. You'll want to go for Verizon FiOS. Comcast's Triple Play offers usually require a two-year contract. Verizon offers Triple Play bundles with guaranteed pricing for two years with or without a contract. Comcast may provide some customers with more speed, but the trade-off is steep: fewer channels, sharply escalating prices, and less incentive to sign a contract. Access granted: Are you among the privileged class? If you're amped up and ready to contact Verizon, calm down. Getting FiOS is a spotty issue - literally. The service is only available to about 17% of U.S. households. 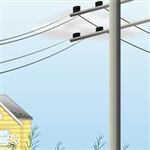 Even if a neighbor has the service, it may not be available in your home. The only way to know for sure is to give Verizon your address and they'll let you know if you can get FiOS. Comcast Xfinity isn't available everywhere either, but as the largest cable provider in the U.S., it's certainly more likely to be available than FiOS. Not Ready to Settle Down? Watch Out! Be careful if you decide to enter a contract with Verizon and you aren't sure that you will be in the same location for the full two years. 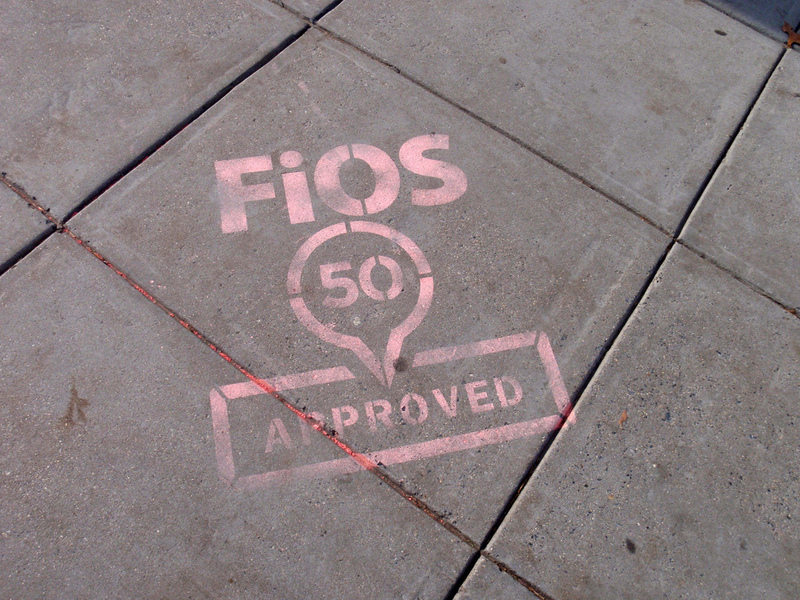 You may have to swallow an early termination fee if FiOS isn't available at your next home. Both companies lose points for quoting the price of packages and noting in fine print that additional charges will apply. Many Verizon and Comcast customers have surely experienced sticker shock after getting sucked in by a deal price, which seems oh so attractive, then receiving a bill bloated by the costs of equipment, installation, activation and a list of other fees and taxes. Comcast may be able to brag about some features Verizon doesn't have. Yes, you can read Caller ID on your TV screen. But little features aren't really worth higher costs or the obligation of a contract. And yes, Comcast's top Internet speed is allegedly a bit higher than Verizon's, but most people aren't signing up for that tier of service, which is expensive with either company. Verizon gets a heavy round of applause for offering attractive deals, with consistent pricing and for not trying to lock people into contracts. For the ninth straight year, FiOS has won PC Magazine's Reader's Choice Award, outranking Comcast in every category, including speed, reliability, and overall satisfaction. FiOS appears to be the best value for most people, at least those who can get it. Therefore, in the battle of Comcast vs. Verizon, the winner is the company that offers the best package of services at the best price in your area when you're ready to sign up. Share on Facebook "Verizon FiOS vs Comcast Xfinity"